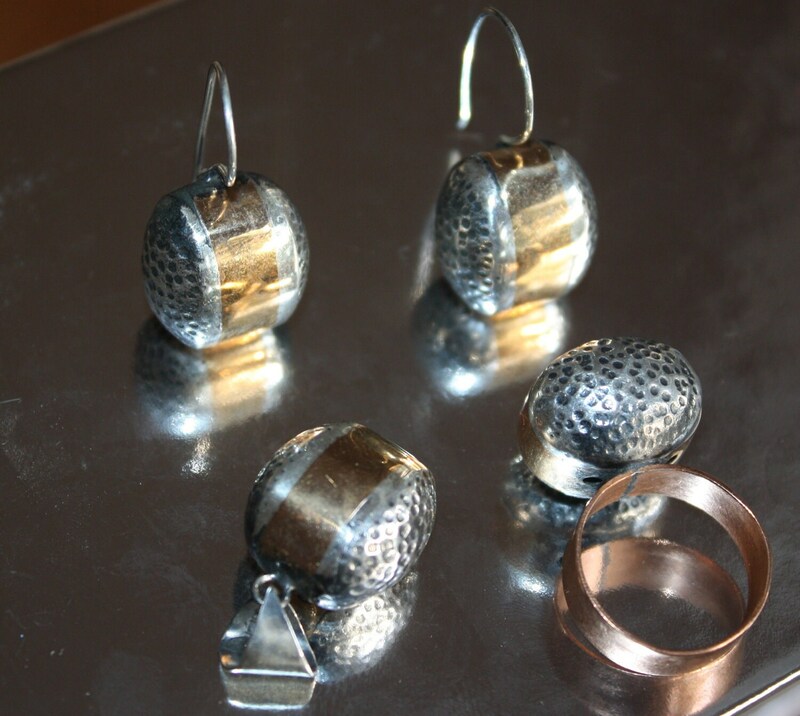 SET Earrings, Pendant, Ring, Sterling Silver 925 Bubbles with brass, one of a kind, handmade, hand hammered, contemporary design. 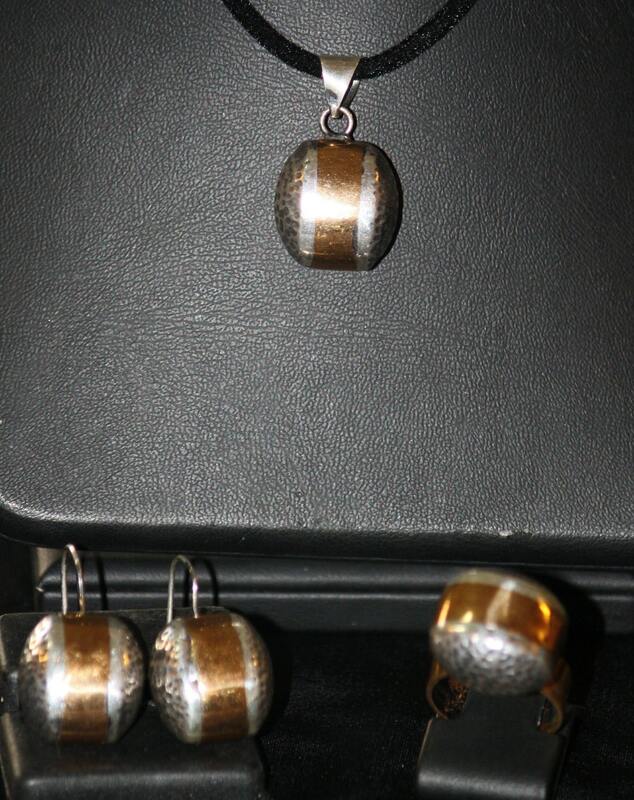 SET Earrings, Pendant, Ring, Sterling Silver 925 "Bubbles" with brass, one of a kind, handmade, hand hammered, contemporary design. This design is my pride and joy! 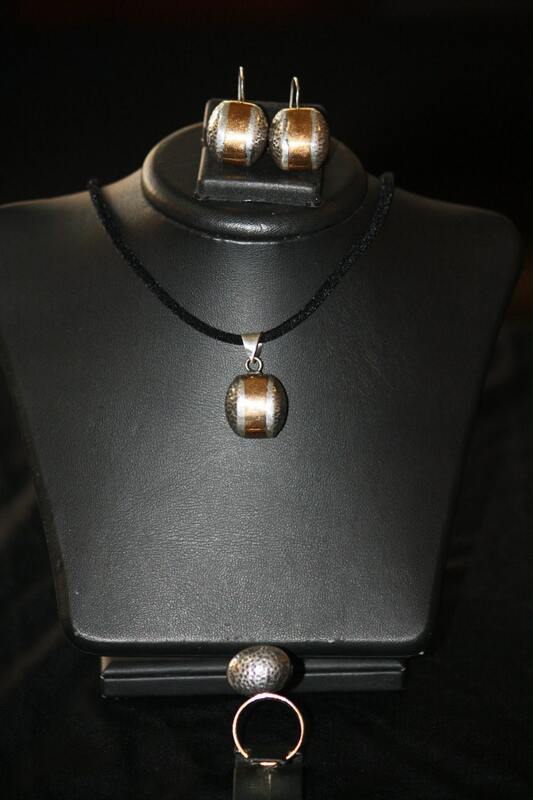 Absolutely unique, very modern oxidized silver hand- hammered set of ring, pendant and earrings that I designed myself. Very fun, show stopper. I wear mine all the time and so far haven't met a person who wouldn't like it. The pictures show my own set that I wear all the time, so please disregard the signs of wear- yours will come perfectly polished and shiny.